Welcome To Malaysia. About Malaysia capital Kuala Lumpur. Turn Your Vacant House into Monthly Income. Is rental price the first question You should ask ? Did You find out the location of the property ? Ask the expert, location is more important than price. Taman Kajang Utama, Kajang 4 Storey Shop Office 22x75 Freehold, 4 Storey Shop Office, suitable for warehouse, retail, production, company own office building. Located in Kajang Utama. Beside Silk Expressway. Next to new development, Kajang 2, a new large residential township. 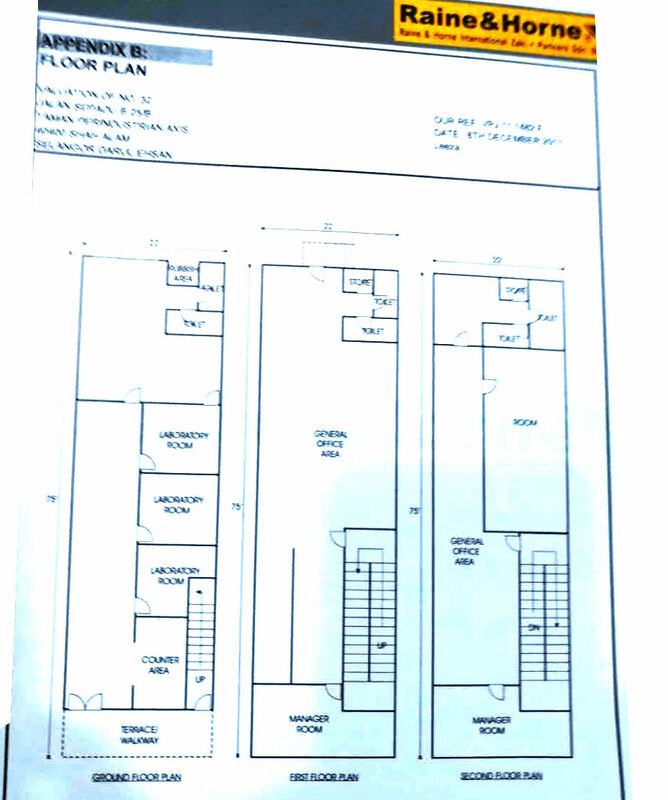 Near amenities (primary & secondary school, 99 Speedmart, clinic, restaurant and etc.). Good Access to Kajang Silk Highway, South Klang Valley Expressway (SKVE) and Plus Highway. Kajang-Seremban highway, 5min to Kajang town and Bangi, 10min to Semenyih. Close vicinity of Kajang KTM Station, School, Metro Kajang shopping centre and etc. Ample Parking Space. 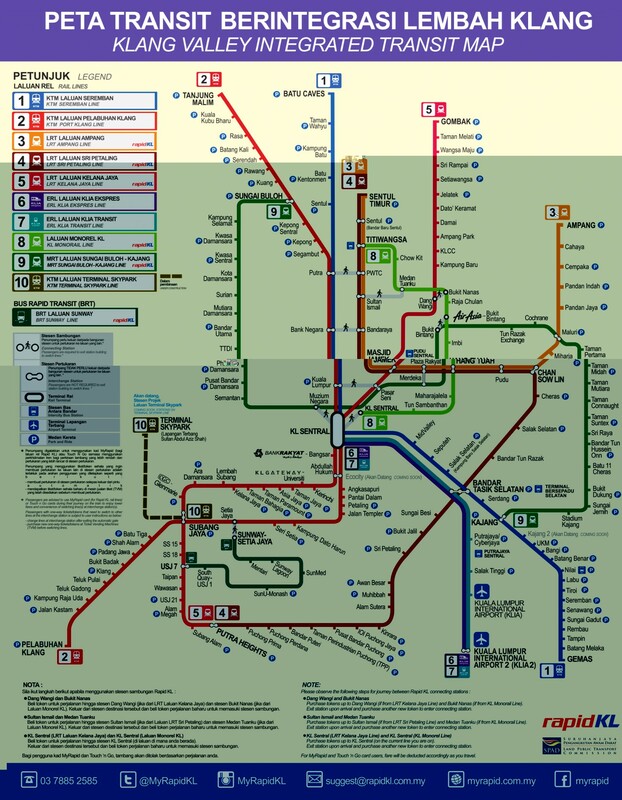 About 25 minutes from Kajang Utama to Salak Selatan, Kuchai Lama, Seri Petaling, Tasik Selatan, The Mines. 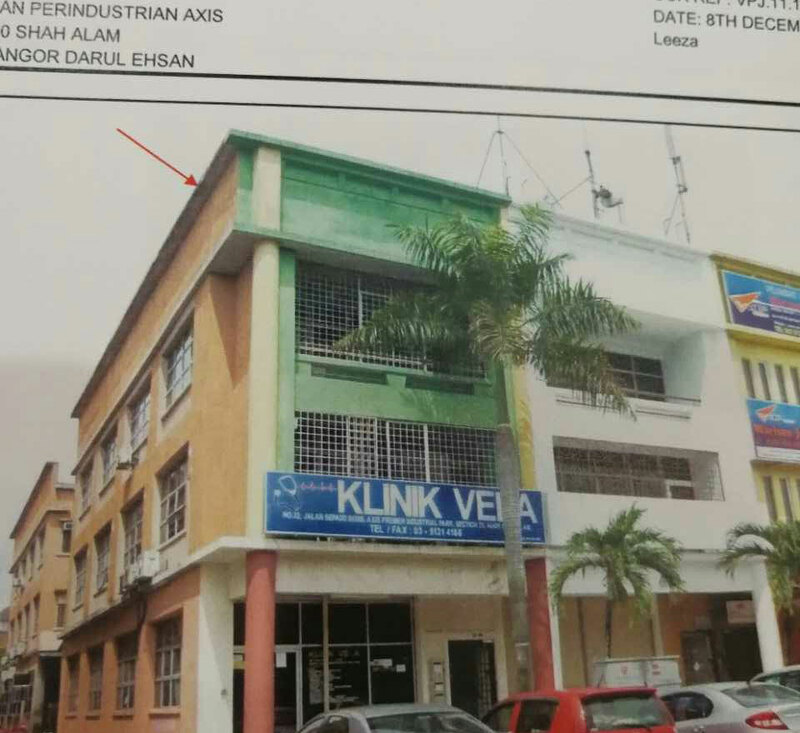 Sri Petaling Shop Office Jalan Radin Bagus, Leasehold, Total 84 units, dual frontage on selected units, 24' x 100', 3 storey and 4 storey (with lift). Near The Store, Carrefour, Major bank, fast food restuarant, modern cafe. Cheras Business Centre, Taman Yulek, Taman Cheras, Kuala Lumpur 520 square feet and 420 square feet , 2 adjoining office with lift. Back portion unit. Near Restaurant, Bank. Tesco Hypermarket, Cheras. Easy access to MRR 2 highway, Petaling Jaya elevated highway, Cheras-Kajang highway. 15 minutes drive to Chan Sow Lin, Pudu, Bukit Bintang. Megan Avenue II Business Office Centre located in the vicinity of KLCC, Block C, 15 Floor, 2080 sq feet office space, own control air-condition total 6 horse power. Internal Wash room for Male and Female. Multi-storey basement car park. Rental RM 5,500. per month. Fraser (F&N) Business Park Kuala Lumpur located between the junction of Jalan Loke Yew and Jalan Sungai Besi. Launched in early 2004, Phase 1 of 13 acres shop office, 80 units of 5 and 6 storey with individual lifts. These shopoffices come in various sizes, 26 x 66', 33' x 66', 39' x 66' and 46'x66'. Phase 1 had been completed and handed over in 2007. F&N now launching Zon-E at this current plot of land, which is the last phase this business park. Zon-E a RM350 million fully integrated multifunctional hub designed to be the largest electronic gaming and multimedia centre in the region. A lease agreement for 222,000 square feet had signed between F&N and HELP University College to be a Tutorial college to house the new campus for a 15-years period. The campus facilities will include lecture theatres, training, auditorium, seminar and conference facilities, display and exhibition areas, 950-room hostel, multipurpose gymnasium, learning resource centre and various retail outlets. i-Parc 2 Semi-Dee Factory Section 26 Shah Alam Three storey Semi-D Factory Warehouse. a 64 units industrial parcel in Section 26 Shah Alam. Comprising of also 3 storey semi detached factories, i-Parc2 is situated centrally within the HICOM Industrial Park zone which is an established and the preferred address for the likes of industry giants like Proton Malaysia, Sharp Electronics and Toyota. i-Parc2 will enjoy superior accessibility by virtue of a network of highways leading to all major locations and key logistic ports. An unobstructed Kesas highway connects i-Parc2 to Pulau Indah which houses both Northport and Westport to the southwest. Towards the east will be the North South Central Link (Elite) which leads to the Kuala Lumpur International Airport and further southbound to Seremban, Johor and Singapore. Northbound access will see convenience by the Guthrie Corridor which links directly to the North South Highway (PLUS). Another major draw to i-Parc2 will be the high catchment of skilled workers within the neighbouring townships of Section 26. Within a 10 km radius, i-Parc2 will be in close proximity to Subang Jaya, Kota Kemuning, Klang, Sunway and Shah Alam. Sunway PJ 51a Business Park situated at the PJ 51a industrial area, beside the Federal Highway, entrance way to Sungai Way, behind the Cycle and Carriage Mercedes Benz car dealer. Next to New Residential development section PJ 51. High floor office Lot / Space about 1750 square feet for Rent. Security pin code and card access to enter lift lobby. Basement car park. 24 hours security, CCTV. Public Washroom. Near Hong Leong Bank. Easy access to 222, 223, 225, Templer, Subang, LDP, Section 14, SS 2. The complex is infront of KL Setapak Central Shopping mall ( Parkson, MBO Cinema, Popular Bookstore, IT shop, EconSave ), Platinum Walk, Ibu Kota, Medan Idaman Business Park, Danau Kota Uptown, PV128 Business Centre. Public Bank , Alliance Bank, AEON Credit Services, Cash Converter, 7-11, Restaurant. Gym Body Training. KL JPJ and Puspakom is opposite of Star Parc Point. Near TAR College University, Wangsa Maju LRT train Station. Many Apartments condominium surrounding supported by ready high population. Chinese School, government school, and vacational school within 3 kilometre radius. ZetaPark Danau Kota Setapak its comprise of SOHO, Zen Suites, and The Loft. Within the Kuala Lumpur central business district area, largest integrated development in Setapak, a RM500 million mixed-use commercial development comprising 200 retail lots, 424 SOHOs and 470 serviced residences, Situated above KL Festival City Mall (anchored by Parkson), Unique combination of shopping, dining and entertainment providing convenience and a premier lifestyle, easy accessibility to premier healthcare facilities, Columbia Asia Medical Centre and Tawakal Hospital, international schools, Seri Utama, Fairview and International School Kuala Lumpur, Universiti TAR, Universiti Islam Antarabangsa, KL Metropolitan College and TAR College, Close proximity to LRT stations - Wangsa Maju, Sri Rampai and Melati, Centrally located with easy access to major highways DUKE, MRR2 and AKLEH. Bukit Segar next to Cheras Hartamas, Jalan BS 7. Four Storey commercial Shop Office, intermediate. Land area :130 sq.metres. approximately 1400 sq.feet. ( 20 x 70). Nearby Cheras Leisure Mall, Cheras Sentral, Tesco Extra Hypermarket, Econsave Hypermarket and Pantai Cheras Medical Centre. (1) Setapak Green Condo, Sale. (2) MH Platinum Condo Jln Gombak, Sale. (3) Idaman Puteri Condo, Sale. The Zest @ Kinrara 9, Bukit Jalil Highway new serviced apartment project by Trinity Group of Companies. 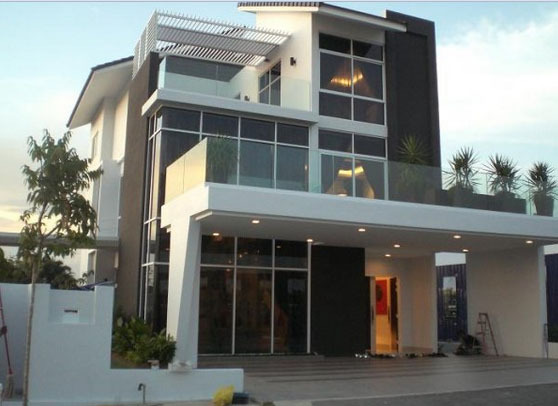 The Zest is a mixed development built on 5.6 acres of land in Bandar Kinrara 9 (BK9). The Zest consists of three blocks of 20-storey serviced apartment with a total of 720 units and also 3-storey and 4-storey shop offices. The built up areas of the apartment units are between 1,110 and 1,213 sf, with 12 units per floor. This freehold development is located at Bandar Kinrara 9, along the Bukit Jalil Expressway. Apart from that, The Zest is also easily accessible via KESAS Highway, LDP Highway, KL – Seremban Highway as well as the Sungai Besi Highway. The Zest's strategic location is approximately 20 minutes from the Kuala Lumpur City Centre, 10 minutes from Sri Petaling and 5 minutes from Bandar Sunway. The Zest is also within close proximity to public amenities such as restaurants and shops, schools and institution of higher learning (Alice Smith International School, Limkokwing University of Creative Technology, International Medical University and APIIT), golf courses (Kinrara Golf Club, Bukit Jalil Golf Club and Mines Golf & Country Resort), and shopping malls (Giant Kinrara, IOI Mall). Signature Park, Kota Damansara, Petaling Jaya New Business Retail Park. Next to Sri KDU International School, SEGi College University, Tropicana Medical Centre, Cova Suites and Cova business centre. Few minutes drive to Sunway Giza, One Utama, The Curve, Ikea, Tesco. Lestari Perdana LP 7, Seri Kembangan Ground floor shop lot for Sale. 20 x 75, Leasehold. Located in LP7 Taman Lestari Perdana which is between Taman Equine to Taman Puncak Jalil. Under council Majlis Perbandaran Subang Jaya. Upcoming new development Kinrara Uptown just next to Lestari Perdana. *Easy Accessibility to LDP,SKVE,Lebuharaya Bkt Jalil,Kesas highway. *Nearby to Aeon Equine,Pasar Borong Sgor,Putrajaya,Cyberjaya. Putra Perdana Puchong 1560 sq.ft. 1st Floor, corner lot, facing main road, near housing area, many parking lot front and back, good office space for business who need many free car parking space. Good exposure, large space area for long signboard, easy access to PutraJaya, Seri Kembangan, and KLIA. Shah Alam Milano Kemuning 0-Lot Bungalow built-up area approximate 4235 square feet, land area start from 4000 square feet and above, freehold, individual title, low density, 800 metre to LKSA highway to Shah Alam City. Near Chinese School, Bukit Kemuning, Kemuning Utama, Shah Alam, Klang. Plaza GM Freehold Apartment 1 bedroom, 1 bathroom, Freehold, 18 floor, 730 square feet, no block view, Sauna, Gymnasium, Multipurpose hall, 24 hours security, smart card access. excellent investment in the KL city Freehold highrise apartment with security smart card access, very close to PWTC, Chow Kit Monorail station. Flora Damansara Apartment, Damansara Perdana 3 bedrooms, 2 bathrooms, balcony, and children play ground, badminton court. basement car park, security guard. within the prestigious Damansara Perdana vicinity. near Ikea, Tesco, One Utama shopping mall, Highly accessible via LDP highway and Penchala Link, MRR2. Surau within the vicinity. For Sale. Security upgrading in progress. Surian Condo, Mutiara Damansara, Petaling Jaya 4+1 bedrooms, 4 bathroom, freehold, fully furnished. 24hrs Security, Nice and Green Environment, 2 parking bays, High Floor, Nice View, 2,228 square feet. Facilities: Multi purpose hall, Fully equipped gymnasium, Swimming Pool + Wading pool, Children playground, Barbeque station. Near Giant, AEON Big (Ex-carrefour) , Bandar Utama, IKEA, Tesco, Tropicana Medical Centre, SEGi University, International School. Income Tax Department. Semenyih Sentral Industrial Park 3 storey with lift & 2 Storey Semi-D factory brand new Semi-D factory, with advanced infrastructure with auto gate, alarm system, CCTV security, 24 hrs guarded security, 3 phase 200amps power supply. Ground Floor 2 Bedrooms. Living and Dinning Hall, Dry Kitchen and Wet Kitchen separated. The landscape garden is waiting for a highly interest person who love do-it-yourself to design a new flowers and plants garden. Near to Hospital, Taiwan Kuala Lumpur International School, AEON Big Hypermarket, restaurants, many kind of different activities shops. Industrial factory. Proton factory. Tiong Nam Industrial area. Do You have any properties want to sell / rent? Call me now. Looking for Properties Investment, or for own use, call me now. 24-2 (1st Floor), Jalan Radin Anum 2, Seri Petaling, 57000 Kuala Lumpur, Malaysia.